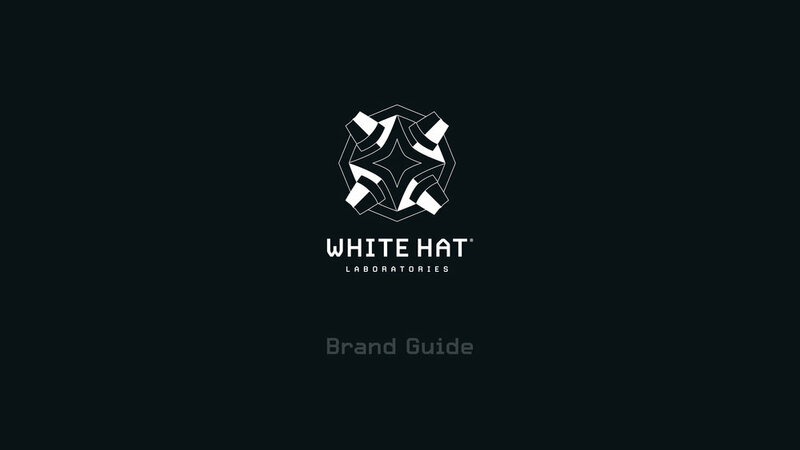 Designing the the White Hat Laboratories brand. White Hat Laboratories, the first white hat hacking organization, is led by its brilliant CEO, Kyle Smythe and it is known for its successful proprietary avatar AI (“Omni”) that accompanies humans into a system. White Hat Laboratories is currently looking for new talent. A white hat hacker is a computer security specialist who breaks into protected systems and networks to test and asses their security. The term comes from old Western movies where the cliché was for the "good guy" to wear a white cowboy hat. Of course, the "bad guys" always seemed to wear a black hat. For the most part, the term is synonymous with "ethical hacker." But are they? We created the “mine” icon, using 4 hats, spilting the colour 50/50, black and white. Good or Bad, you decide? Early stage one OMNI development animations in line with proprietary avatar AI. It’s Alive. We even started to ask ourselves, are they real? They have all the swag. White Hat Laboratories is a fictional Company created for the Red Bull Escape Game World Championships in London 2019. Visit #redbullmindgamers or mindgamers.redbull.com for more information.